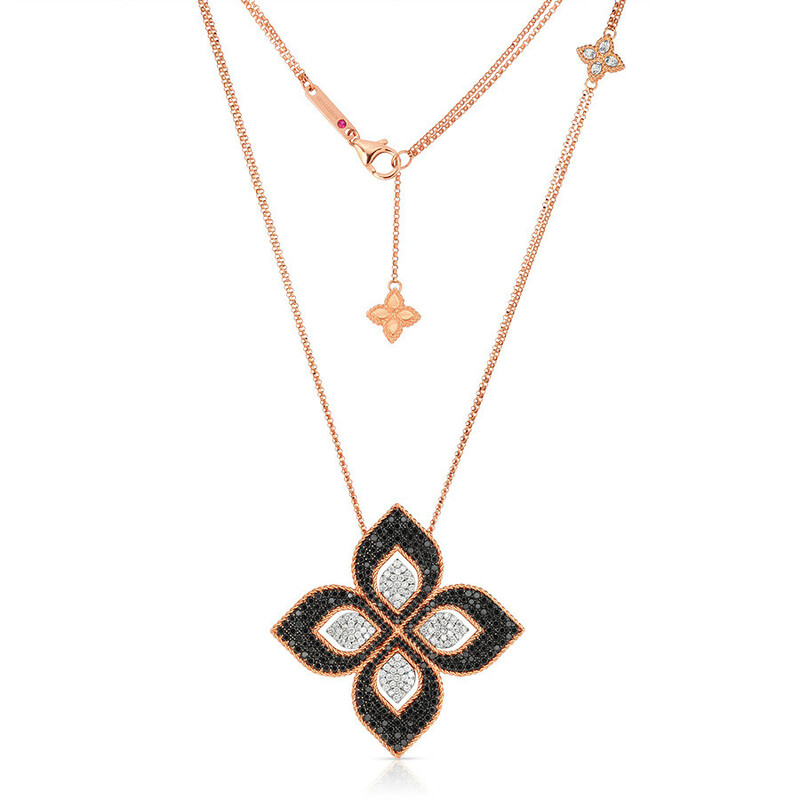 You'll feel like royalty when you wear this necklace from Roberto Coin's Princess Flower collection. 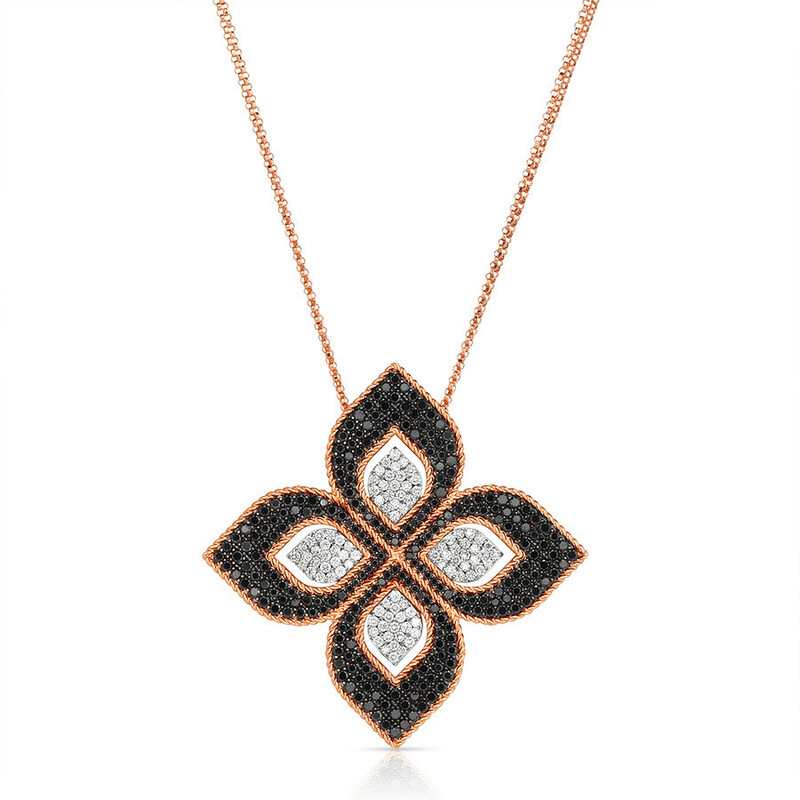 Crafted in 18K rose gold, it features a large floral-motif pendant with black and white diamonds front and center, with a smaller like-designed station mid-piece embellished with white diamonds, and another in complexion-complementing precious metal at the end of the accompanying 32" chain. 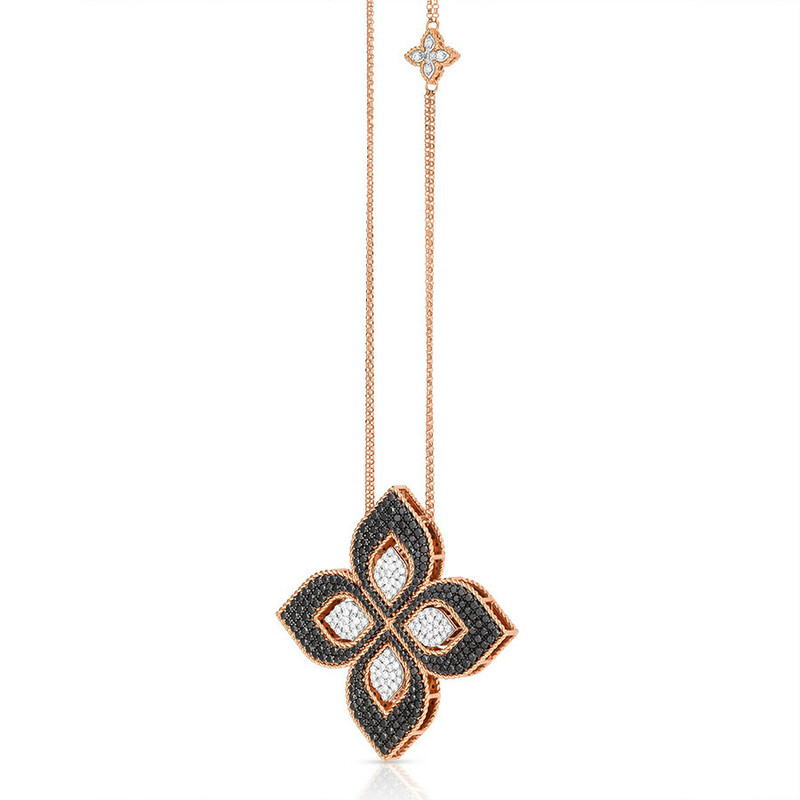 This Roberto Coin pendant necklace will be one of the crowning glories in your jewelry box.